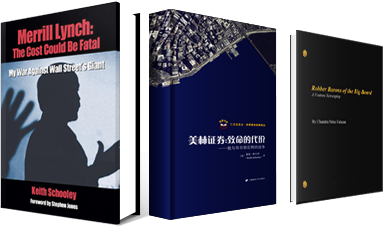 Chinese publisher Shanghai University of Finance and Economics Press has reprinted a book on Wall Street corruption by Enid author Keith Schooley. …His tome on the now-fallen brokerage proved one of six U.S. and European books translated and published as part of “The World Classics of Investment” series sponsored by China Universal Asset Management Co. Other reprints include The Great Crash 1929 by John Kenneth Galbraith, Understanding Wall Street by Jeffrey B. Little and The Bear Book: Survive and Profit in Ferocious Markets by John Rothchild…. Seven years of litigation followed, setting the groundwork for Schooley’s book….